Your child has special oral health needs. 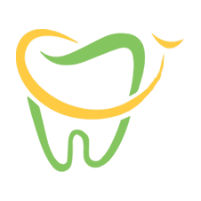 The expert team of dentists at PDADental in the Financial District, Lower Manhattan understands this and has the experience and training necessary to address changing oral health needs as kids grow. If you live in New York, or commute in, call the office or book an appointment online today to take advantage of some of the best oral care possible for your children. What Special Dental Care Needs Do Children Have? Children’s teeth are still growing and developing. The dentists at PDADental can treat issues associated with baby teeth and evaluate your child’s oral progress as they lose the teeth and permanent teeth come in. Children also benefit from proper oral hygiene education. When they learn how to and actively take care of their teeth, they can have a lifetime of good dental health. Some children’s oral health can be improved with sealants, fluoride, and other treatments. How Do Dental Care Needs Change as Children Grow? As your child grows into adolescence and their permanent teeth come in, the dentists at PDADental evaluate whether the teeth are coming in properly and aren’t leading to crowding. They’ll also make sure these adult teeth are well-protected from decay. The experienced dentists provide support when the third molars, or wisdom teeth, come in – usually in the teenage years – and determine if these need to be extracted. PDADental’s expert oral surgeons are available for wisdom tooth extraction. When Should a Child First Seek Pediatric Dentistry? Your child benefits from early visits to the dentist. Seek care around ages 2-3. Baby teeth need dental support too as they create a foundation for permanent teeth, are instrumental in a child’s ability to chew, and influence speech development. What are the Benefits of Seeking Pediatric Dental Care? Pediatric dental care helps your child become more comfortable with the dentist. The team at PDADental supports kids who are anxious, nervous, or agitated during a visit. Plus, pediatric dentistry takes extra care of the special needs of children and youth. What Oral Hygiene Care Information is Provided by a Pediatric Dentist? One of the primary goals of the team at PDADental is to teach your child good oral hygiene habits. The doctors and technicians offer tips and incentives to encourage your child to brush at least twice daily and to floss. Your child can also benefit from dietary recommendations that reduce the chance of infection or tooth decay, such as avoiding sugary sodas and candy. If your child isn’t quite ready to brush his or her own teeth, the doctors give you the tools to care for your baby’s or toddler’s teeth. To start your child on the road to good oral health, call the office or book an appointment online today.